Welcome to the discussion topic for the fanon Bionicle Expanded Multiverse. This is where you can ask questions or comment about the EM, post general suggestions, and discuss ideas. Enjoy!See also:Official EM Reference Topic100-page Multiverse GuideStory Submission Topic, where you can link to your own Multiverse-related fan fiction. :)And here's the original EM Discussion Topic (archive auto-logout warning); you can find many answers to previous questions in there. Edited by bonesiii, Jun 20 2014 - 07:36 AM. Three great comedies at one low, low price....NOTHING! Three late-middle age matoran think of something they want to do before they kick the bucket. Navigate your way through a myriad of meaningless choices as you try to not make a fool of yourself in perhaps the only comedy ever written almost entirely in spoiler tags. Useless BZP Junk that you Must Have!!! Get to your phone, whip out your credit card, and prepare to buy some useless BZPower related junk that has no benefit on society except that you want it!!! It's back! It's finally back! Now what were we talking about? :PBut in all seriousness, I'm glad to see this back, and look forward to new CC. At the moment I don't have the Fanon Collection topic up; you can read most reference content in the archived one here. Freewebs.com discontinued their wiki option, but I have the wiki content saved and eventually will put the important stuff in the new Fanon Collection topic. A big reason for the delay is that I'm adapting to a new computer that doesn't yet have all my relevant links and stuff. Will that important stuff include the list of Kanohi Masks and the species page (those are basically the only two pages that had information which couldn't be found elsewhere)?Apart from that, I'm happy to see this back and I hope to be reading Cipher Chronicles Episode 5 soon too. Look! Up on the sky! It's the Expanded Multiverse discussion topic!So, when is it until the next Cipher Chronicles episode starts posting? And who is writing it this time? The Multiverse is a fan made universe, with its own plot line, which basically works as a new setting for fans to write their own stuff, as well as having it's own 'Official' storyline in the Cipher Chronicles series. I'd link you to the multiverse guide, which explains everything about the multiverse, but unfortunately it was stored on BS01, and it hasn't been restored yet after their data problem. Try Bones' archive link in the first post though.Also, question on the story submission topic; is it just for epics/short stories/comedies, or can you post MOCs of characters, or art? Edited by Taipu1, Dec 24 2011 - 06:20 PM. Yes, especially the Kanohi page. TakanuvaC01 is the guest writer of the next episode, which is finished, but I still need to make some banners and stuff for it, and figure out who is going to do the actual posting. I wouldn't expect it, realistically, until sometime in February. In addition to Taipu's answer, the basic concept is that new characters, of the familiar Bionicle species, plus some new species, live on the seven planets you see in the banner, and the whole realm is being slowly destroyed by the dangerous "Bluespace" anomalies. There is a Bluespace ceiling between each of the planets, which you can't pass through, and random anomalies of it appear in various places. If you follow the link in the first post to the archived Fanon Collection Topic, you can read some more detail there, or best yet, follow the links there to the Cipher Chronicles stories, and find out through the eyes of the characters. :)About the Shattered planet, I assume you're asking how there can be an atmosphere around all the shards, and the answer is that the people of the Air Fragment make forcefield generators, which hold the air in place. If those forcefields ever stopped working, the air would quickly spread into the Bluespace around the planet, and molecule by molecule it would get destroyed, until none was left. Also, question on the story submission topic; is it just for epics/short stories/comedies, or can you post MOCs of characters, or art? Just stories. If you wish to link to MOC topics or art topics, post the link here. (You could also write a story about your MOCs and show/link the images there. )One exception is Comics, which count as stories. Edited by bonesiii, Dec 24 2011 - 08:36 PM. wow, very happy when see this topic come back. I really miss this. can't wait for the next story and contests. Does Multiverse mean anything related to Bionicle canon? No it's a completely separate fanon storyline. Anything you write will most likely be accepted into the multiverse's own canon but has no bearing on the actual Bionicle storyline.Anyway, I'm glad to see the multiverse alive and kicking! I'm gonna be looking forward to checking out the new cipher chronicles episodes upon release. As well, I plan on contributing well to any contests you guys put up, I've always been enthusiastic about those. Unfortunately as my time becomes more and more filled with school and social outings I have less and less time to work on my fan fics so for now I think contests will the extent of my contributions. Formerly known as Skrilax - just, so ya know. No it's a completely separate fanon storyline. Anything you write will most likely be accepted into the multiverse's own canon but has no bearing on the actual Bionicle storyline. Anyway, I'm glad to see the multiverse alive and kicking! I'm gonna be looking forward to checking out the new cipher chronicles episodes upon release. As well, I plan on contributing well to any contests you guys put up, I've always been enthusiastic about those. Unfortunately as my time becomes more and more filled with school and social outings I have less and less time to work on my fan fics so for now I think contests will the extent of my contributions. In that case, I might have a story. It's kinda long, though. Glad to see this back up. Can't wait for Episode 5! Now, is the Shard contest going to return anytime soon? Please read and review my epic detailing my ideas for a sixth film: Bionicle: Mata Nui's Fate I: The Bota Magna Journey - Chapter 2 is now up! 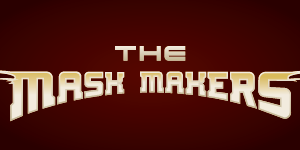 I hope the mask list is somewhere, because I'M NOT WRITING IT AGAIN! http://www.bzpower.c...tyle_emoticons/default/blush.pngAnyway, did Swert or Takuta Nui ever weigh in on Iron Hawk's flying fortress? About two years ago, this answer was given to questions on Bz-Koro and Wiki-Nui governments. staff rank in EM -- all WN and BZK ranks are the same as they are on the websites. The only difference would be the AAG government members, who are probably all or mostly all totally original characters, not based on real people at all. And of course lower ranking governmental employees would be original characters by the hundreds. If this is true, however, how are things like law enforcement, taxes, health care, transportation and everything else that real governments manage handled in WN and BZK? Who's in charge of them and how are they connected to the respective governments?I'd also like to know the same thing about Promathus. Since everything there is economy-based, are there companies specializing in these services or do the larger companies who basically rule Promathus have deparments managing them? And are contracts offered to operate these services or can anyone simply offer them without needing any permission? Or does it work in another way?Thank you. Alarist -- Pretty much, if a task sounds similar to real ranks on the websites, the person in charge is in charge of it (meaning in charge of various lower-ranking fictional characters who handle most of its day-to-day tasks. On BZP, most staff are like debate moderators and handle some basic practicalities about records-keeping and enforcing laws. Taxes and other things would probably be handled mostly by fictional characters reporting to Black Six, for example. And similar for Wiki-Nui, except the main staff is focused on reference, and other things are under Toa Swert's purview. (For the most part. )Beyond that, this is the sort of thing we prefer to avoid defining down to the nitty gritty. For example, I'd consider it basically a rule that any task is handled by a variety of sub-organizations with some redundancy and overlap, so fans can imagine their own lower-rank organizations to handle basically any task, with no need to call on Reality Shifting to explain why others' stories don't involve them. :)Promathus -- Both of what you said, plus the third option of subsidiary companies owned by the Big Four. As for permission it depends on who owns the buildings needed to carry out the jobs, or who can pay to buy them, etc. Each small or Big company more or less writes their own laws, but with a balancing effect of the Two Big Unions and other smaller unions. It is all run by contracts, yes. A basic set of standards are usually agreed on by all, such as don't murder, so any murderer would be attempted to be arrested by enforcers either of the company on whose land he is found, or by contracted bounty hunters. Edited by bonesiii, Jan 15 2012 - 02:45 PM. So, there will be an undead skeleton who's a Prem Ref Masters/Forum Leader and possibly runs the inquiry to the mysterious third cosmos? :biggrin:Also, sorry if it's repetitive, but did you ask Swert or TN if they liked/hated the IHFF idea?Oh, and lore question: Does the Ice Fragment have access to Clysmax's Cargo Star? Edited by TLhikan, Jan 21 2012 - 08:44 AM. I never did get into the Expanded Multiverse before, but I might write a fan-fiction story or two just for the heck of it.EDIT: Hey, when will the EM Guide be restored? I went to the old EM archive but couldn't access the PDF guide. Edited by Legolover-361, Jan 18 2012 - 01:46 PM. That be right here.I think it doesn't come in the archive because it's version 3. version 1 was the one in the archive, but it hasn't been restored because there's no need. I was wondering:1)What is each sector of Wiki-Nui (Ta-Wiki, Ga-Wiki...) dedicated to? We only know, from Swert's Toa Pumaa story, that Po-Wiki is the map-making district. What about the others?EDIT:2)Where is the Wiki-Nui main seat of government? In the Museum? Or somewhere else? Edited by Toa of Italy, Feb 06 2012 - 09:20 AM. Bones is probably busy with Paracosmos and Art contest stuff at the moment, not to mention real life. He'll get to this when he has the time. Right now my plan for the wiki, FTR, is to upload it as a zipped file (for now) to a file sharing site. It's going to be a while before I'll have time to get back to the rest of the EM, unfortunately.Also, there are changes to announce, but we haven't yet had to time to thoroughly discuss them so I'm holding off on announcing. Can I make the top leader of the Alarist Underground call someone through a Gadget? Without him/her being seen or his/her identity revealed. Not canonically, no. Only the ringleaders have ever gotten word from the top leader, and never by such casual (and thus risky) methods of communication. Too secretive for that. And I view even that contact as rare. For the most part the other leaders know what the leader wants and don't need much direct guidance. But depending on the purpose, contact from the other higher-ups or representatives of them is plausible. Two personal thanks to Black Six for Proto Boost. There is no such thing as perfection, except in being yourself. I suppose. The beings are materialized randomly by the Olmak Effect, so it makes sense that occasionally the effect would mix up the species randomly. But it should be extremely rare. Edited by tomdroidser, Apr 10 2012 - 11:12 PM. Just about anything artificial is possible, yes. Especially since beings like the Matoran can rebuild themselves.Natural -- well, to Aethion, what I described earlier would be their natural hybrids. Since the Olmak Effect has been the method of new people coming into being since the beginning of their world. Changes? Hmm.... Bones, who is writing the next Cipher Chronicles? Well, at this point I might as well just announce what I know as to the changes. In short, Takuta-Nui has stepped down from EM leadership, at least for now, as he has also from BZP staff. (Let's hope he'll come back sometime! )The next CC (the one that's written) was partially guest-written by TC01, and the end is written by Takuta-Nui. Very soonish -- maaaybe next week once taxes are done -- I plan to do art for that and get it launched. I dunno if TC or me will be posting it.After that, further plans for intermediate episodes in Season 1 have been abandoned and instead I will be writing the season finale as an epic, incorporating a few scenes TN had written for the next episode before he ran out of time. I have fairly detailed plans for that. (It'll be about merging the Olmak, of course. )Beyond that, I am thinking of shortening the entire series to three, or maybe even two Seasons. Two is actually plausible, for a reason I of course can't reveal; basically I would simply treat the big arc-points of the four later season plans as instead the inspirations for specific episodes within Season 2. As of right now Swert and I haven't had time to discuss that in detail, though, so not sure. Hmm... Well can't get around real life. Still, I was somewhat hoping that the EM would be around for quite a long time, and I know that it will, but I don't see too much interest remaining long after the Cipher Chronicles ends. Well, I still have the old stories and the most recent guide I could find. And was Sticks and Stones ever finished? I got up to Chapter 22, then it was just a cliffhanger. Hurry and finish!I've also started on a story for SCC #8 (It's been a while) about Clysmax hundreds of years after the Cypher Chronicles. I hope I can eventually finish it, but it's a bit of an apocalypse. I hope that no one gets too mad I killed off most of the Ice and Fire Fragments. Wait, is this about parallel universes? Because I have an epic (the leaking) that is set in a parallel universe. Coming June 22nd: Your chance to become an ECC critic! Power of the pen in your hands! No, this is about the Expanded Multiverse. It has parallel universes, but it's it's own universe. Bones has a link in the top post to the old reference guide. Well, Season one isn't even fully written yet, and I imagine Season two might last as long or longer, so it's not like the end is in sight yet. And I can't comment specifically on this, but there is an idea in place that might possibly fuel continued interest for the devoted fans after the Cipher Chronicles are over. I would advise not predicting whether there would be continued interest one way or another. And our plans can work either way. :)And it has to end sometime -- we've always intended the chronicles to have a beginning and end. It was fully posted. You should be able to read the whole story on the old forum, unless there was some erasure glitch I don't know about. Of course, it did have some cliffhangers to set up future stories. :)You may be interested to know that there are several secret reasons why any story set in EM's post-CC future should be considered an alternate Aethion, although you don't need to specify of course. Depending on how you do it it might or might not fit with EM-canon, so you might just wanna not specify it and wait and see whether it ends up fitting or not. :PAlso, by killed off do you just mean the people? That is plausible; eventually they would repopulate. And officially all Bionicle fanfics take place in alternate or parallel universes anyways, although we fanfic authors don't always say so ourselves. Edited by bonesiii, Apr 12 2012 - 07:36 PM.